A growing number of teams are finding that wearables are also helping to reduce the risk of injury. Only three years ago, before wearable technology was as commonplace in the form of fitness trackers, it wasn’t uncommon for teams to use large, complex machinery to attempt to understand an athlete’s movements and habits in order to prevent injury and boost performance. This, according to engineer Rami Nabel, who was a student at the time and was weight training when he saw the tracking equipment used to try to track and analyze the performance of the varsity team. Nabel explained that the device that was used “was really intricate. There was a tripod, a display screen and a big box on the ground, with lots of wires everywhere.” Nowadays, though, wearable technology is accomplishing many of the same goals as that lab-style equipment, but in a much simpler way and at a much lower cost. Nabel is now the founder and CEO of a fitness tracking wearable technology company called Push Inc. This plays into a rapidly growing trend that is using wearables to help to measure performance, and the companies that are grabbing hold of a part of this trend are finding that they can make a place for themselves relatively quickly at the moment, simply because the market has yet to reach its saturation point. A growing number of sports pros are being spotted with wearables that have sensors meant to provide bio-feedback. As wearable technology just starts to gain a little bit of interest from regular consumers, professional athletes are being spotted with these gadgets to help to gain an edge over their competition. These devices are helping during the training sessions of the athletes, to better understand their performance. Among the rising number of athletes using wearable technology have been Amar’e Stoudemire, from the New York Knicks in the NBA, as well as Dwayne De Rosario from the Toronto FC in Major League Soccer. They have each been spotted using performance sensors to get the most out of the understanding of the way that they are performing in practices so that they can make the appropriate changes in order to enhance their capabilities. Some teams have been spotted with wearable technology on all of the players during practice. 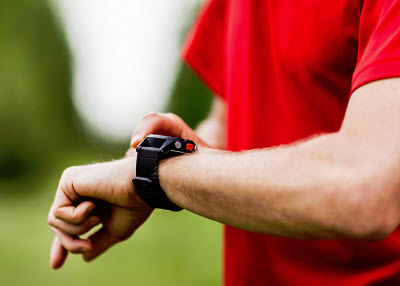 For example, the Toronto FC Major League Soccer club is now using wearables on all of its players during their practices in order to better understand the workload and heart rate of each individual player. The coaches and doctors for the team then use the data that has been collected through these devices to know when a player should be taken from the field or when to slow them down in order to be able to avoid injuries and to ensure the best possible performance.